Interview: Donato Coco: Lotus Cars | How Did They Do It? “My first decision was to cancel the tea room – not very popular in England – and turn it into a virtual room with big screen to visualise projects with optimal conditions”. Donato Coco’s obsession with automotive design began while he was in his school years, copying out sketches of the cars that he found most inspiring. His career really took off when Citroen spotted the young designer’s talents through a competition and sponsored him through the Royal College of Art where he received a Masters in Automotive Design. 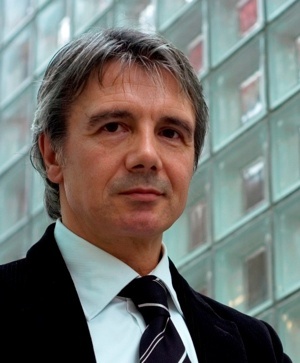 Prior to working at Lotus, Donato Coco rose to become Chief Designer at Citroen, heading up the design teams that produced the Xsara, C3 and Picasso amongst others. More recently he worked on the Ferrari F458, F430 and California as Ferrari’s Director of Design and Development. His role at Lotus has perhaps been his most challenging yet, tasked with producing six new concepts in ten months as part of the company’s efforts to demonstrate its new focus on innovation and bolster its drive to up production of its light-weight sports cars. This lead to a dramatic overhaul of the company’s style department that included a controversial decision to replace the department’s tea room with an advanced design studio and put a greater emphasis on style in a company that had long been directed by engineering interests. You showed an interest in car design at a very early age, even drawing sketches of Lotus cars during your childhood, how did you approach getting into the world of car design? In the beginning you learn by just observing and reproducing. One day I discovered Giorgetto Giugiaro’s Lotus Esprit S1 sketch and I was so fascinated by this beautiful black-and-white ink side view of what became a mythical Lotus car, that I reproduced it one hundred times before I was able to draw it identically. Later, when I was 24, I was designing ski goggles and helmets for a French company near Geneva when I found in a magazine a National Design Contest organised by Automobile Citroen. While I was furiously drawing my design proposal at home, I ran out of colour markers and had to send the sketches unfinished with a letter of apology. Six weeks later I received in return a letter saying that they did not understand why I had sent my proposal one month earlier than the deadline but they were happy to announce to me that not only I was the winner of the contest but that Citroen design director Carl Olsen wanted to meet me at their headquarters. I was hired by Citroen and sent to the Royal College of Art in London to prepare a Masters in Automotive Design. When I came back to Paris I really started my career with Citroen where I grew and learnt on the job, followed by Ferrari where I continued to learn about sports cars, and now I am at Lotus trying to reinvent the brand. This was the way I approached getting into the world of car design. How do you go about formulating a new design from scratch, especially with a brand like Lotus or Ferrari where the design needs to relate to a motoring history that goes back many decades? These brands of great notoriety like Lotus and Ferrari have their roots encored in motor racing and so far have logically created commercial products that are consistent with this long racing tradition and philosophy. Before formulating a new design, it is important to look at the history and understand the brand values, having in mind the soul of the company founders such as Enzo Ferrari or Colin Chapman, characterised by the absolute obsession for innovation; “the next car, the one that still need to be invented is the important one”. Innovation is essential but looking back to history does not necessarily give the solution for the innovations to come, you still have to invent them and be coherent with tradition. When you joined Lotus in 2009 the company was initiating a huge sales drive, with an aim to bring in ten months six new concepts to illustrate the rebirth of Lotus at the Paris Motor Show, what did you have to do to get Lotus up to speed when you arrived? When I joined Lotus I found a styling studio unequipped and empty of important projects, a team small and talented but not used to defending styling interest in this company traditionally driven by engineers. It was imperative to find a new balance and start to nurture a company-wide design-led culture to deliver desirable products with higher perceived quality. I had to re-orientate the styling studio from a small, mostly consultancy focused operation into a world class OEM facility. My first decision was to cancel the tea room – not very popular in England – and turn it into a virtual room with big screen to visualise projects with optimal conditions. I rapidly grew the team of designers and modellers from seventeen to seventy to be able to deliver this phenomenal plan to bring six new concepts to Paris Motor Show 2010. What is a normal day like for you and how much of it is direct design work? There is no normality, each day is full of surprises, except starting the day by writing my plan on a white page of paper. To design requires time for imagining and projecting ideas and also the time to realise them physically. Everything is related to design work and my mind is permanently connected to the ongoing design process on projects, wherever I am. To make the styling dream come through I also need to dedicate time for planning, budget, meetings and negotiations, all necessary activities to support, to defend and to promote the design ideas, but I am very much attentive and close to the daily design work. I dedicate the maximum time to it, giving design directions, reviewing sketches, CAS models, 3D models, because it is where each day you make the final difference. What skills do you think someone needs to be a great car designer? A car is a complex product and the designer has an essential role to unify functions within synthesis shapes that must also deliver strong-unique personalities, coherent with the brand values. The designer needs artistic skills but must also have taste and interest for the technique. The finality of the car designer action being a three-dimensional object he has to understand and practice sculpture. Technical design skills like sketching, creating computer imagery and surfaces are needed and the designer can learn them. What skills to be a great car designer? Skills don’t make it all, more fundamental capacities are needed: “imagination”, “sense of proportions”, “sense of harmony” and a fitting spirit with a bit of poetry, which have more to do with your genes than with what you can learn in a school. Pingback: How Did They Do It?